Rain squalls rush toward me … sheltering under oak bows … as they pass, out to shoot again. 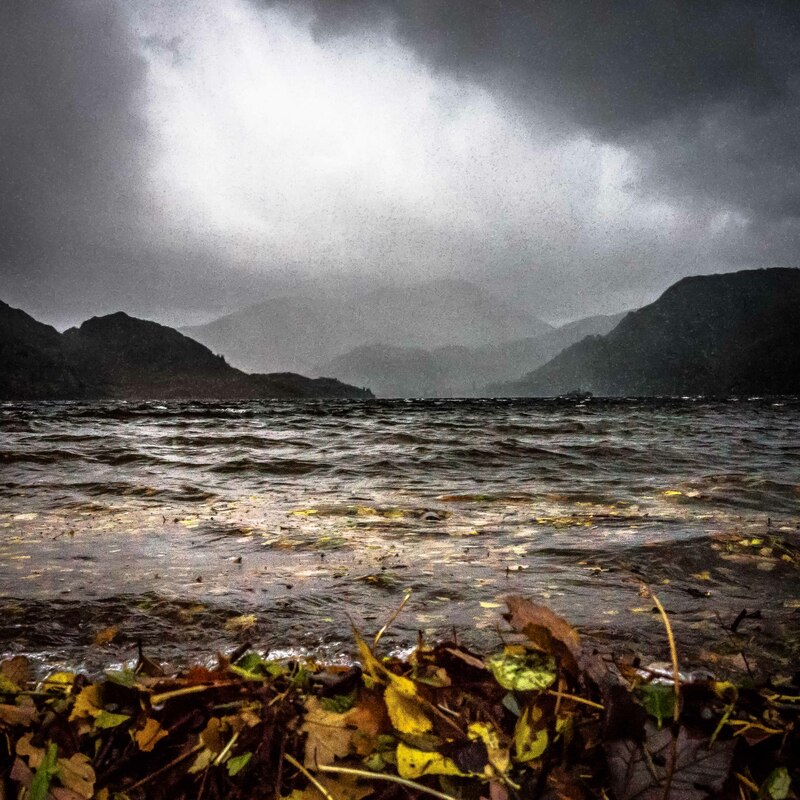 This shot, taken hand held at ISO8000 with the Sony RX1 in dark conditions whilst dodging squalls of rain, is the bad twin of Ullswater Sunset – https://richardjwallsblog.wordpress.com/2014/03/13/ullswater-sunset/ – taken with the Sigma Merrill DP3. It would have proved impossible to take with the Merrill … but then Ullswater Sunset was only possible with it.